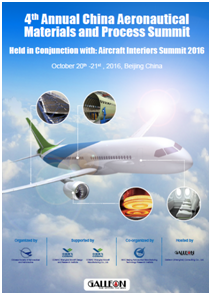 It is my great honor to invite you to the '4th Annual China Aeronautical Materials and Process Summit' (Held in Conjunction with: Aircraft Interiors Summit 2016). 2016, Chinese Government enacts beneficial policy to push forward Chinese Aeronautical Materials industry. Many Aero engine and Wide-body Aircraft projects will be launched. 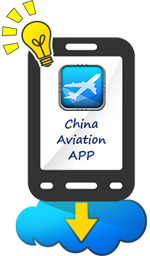 2016, with the development of China Aviation Industry and great demands of new aircrafts， more and more brand new aeronautical materials and process technology are required to satisfy the strict industry chain. 2016, we are looking forward to see the latest materials which could be applied on seats, lights and other on-board equipment. Organizing committee of the '4th Annual China Aeronautical Materials and Process Summit' is sincerely waiting for your involvement. Yiwen ZHANGGeneral Manager, Powder Metallurgy Superalloy Dept.